A gym at a Nova Scotia university campus has gone to the dogs as it offers a new initiative to help canines stay safe and in shape during the winter months. 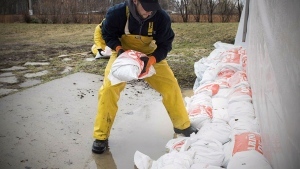 Judy Smith, the director of Athletic Services at Dalhousie University’s Agricultural Campus, came up with the idea after spotting students struggling to walk their furry friends around the site in Bible Hill, N.S. Smith says it can be challenging for pet owners to walk their dogs on icy, salt-and-snow-covered sidewalks this time of year, so she decided to offer a treadmill program for man’s best friend. “We had some new equipment sent our way, so we thought we’d use the older equipment at a walk pace, slow run, so that we could offer that to students and their pets,” says Smith. Sam Dykeman likes to exercise inside during the winter months, and now, thanks to the treadmill program, his dog Mag can work out at the gym too. 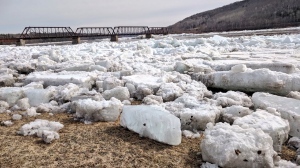 “When we have it like it’s been recently, where it’s freezing and then thawing, it’s not always fun to run,” says Dykeman. Smith says the service is open to all students and gym members. People who live in the area can also drop in with their dog for only $3. She recommends calling ahead because there is only one pair of treadmills available for pups. “We had another person in this morning who has an older dog who has some hip difficulties, so she was really glad to know that it was here,” says Smith. Smith says it also gives busy students a chance to spend more time with their pets in between classes. “We just feel it’s a good fit for the campus and for the community,” she says. If there’s enough interest in the canine treadmill program, Smith says they will look into expanding. 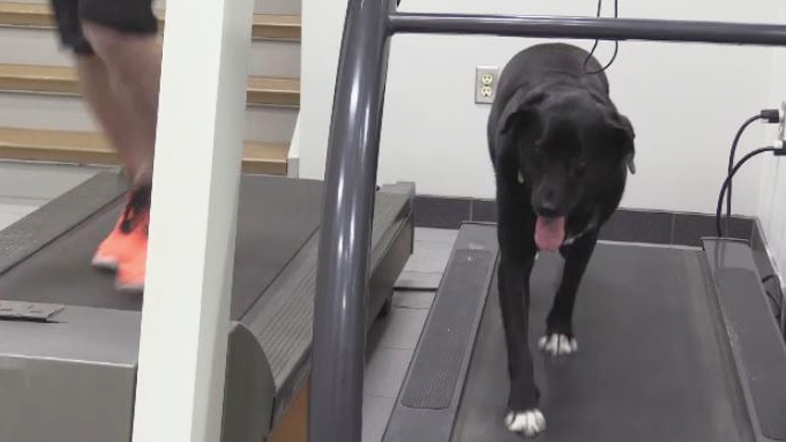 The athletic centre at Dalhousie University’s Agricultural Campus is offering a treadmill program to help canines stay safe and in shape during the winter months.